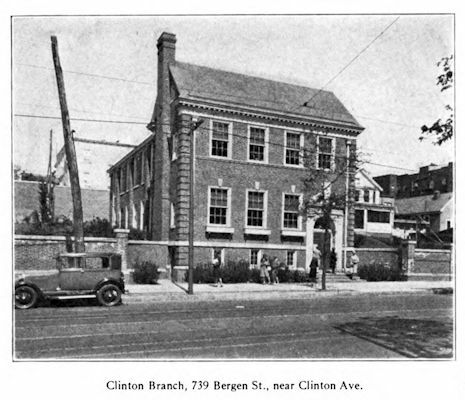 The Clinton Branch of the Newark Library opened on December 2, 1925. It is a colonial type building of Harvard brick with white trim. The interior is finished in oad with plaster walls. The first floor houses the Adult Room and a staff work room. The second floor houses the Chidren's room with staff rest room and kitchenette.